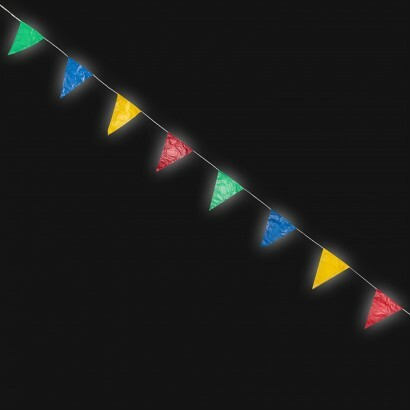 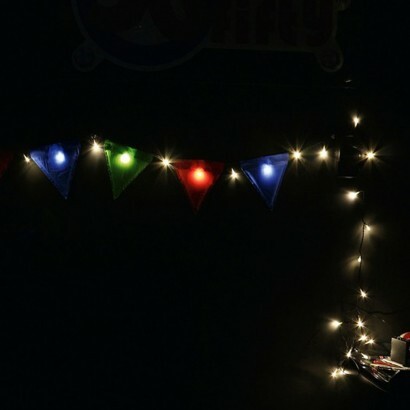 Add instant party atmosphere to your home and garden with colourful bunting lit by bright white LEDs! 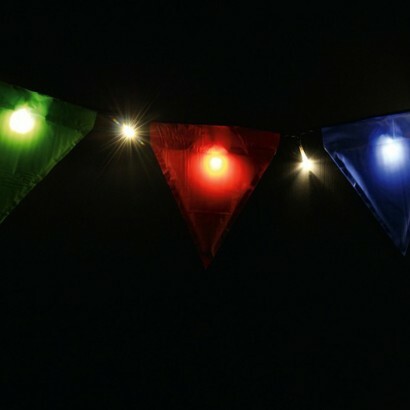 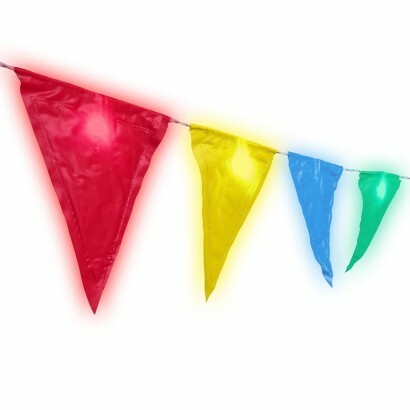 Battery operated, these colourful bunting flags are ideal for decorating your home and garden for parties, BBQs and more, adding a festival feel and fairy lighting. 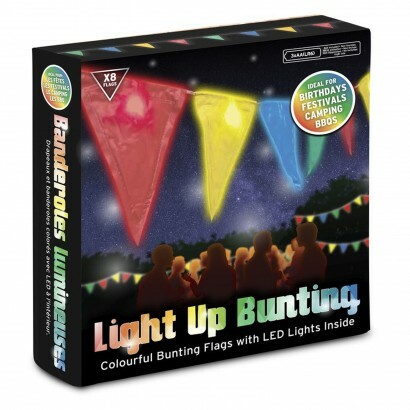 Battery operated, with a weather protected battery pack, the bunting flags are weather proof too making them ideal for placement outdoors.